Focusing on workout recovery will help you show up to your workouts feeling rested and ready to work. That’s what it takes to make consistent progress in your fitness program. How can you ensure that you’ll do your best at every training session? By making sure you’re properly recovering between your workouts. It’s often an overlooked aspect of training yet small changes to your workout recovery can yield big results in how you look, feel and perform. 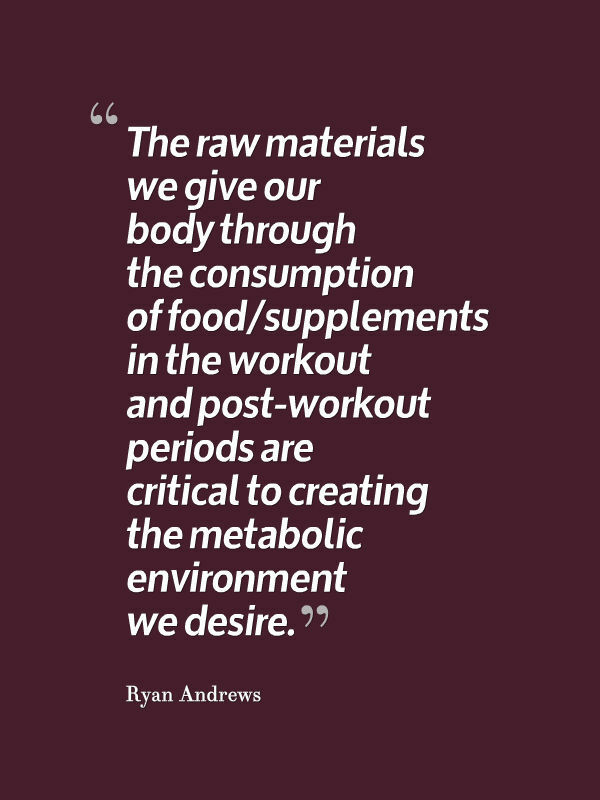 It can be achieved with simple changes to your post-workout nutrition. Get this right and it can help you recover and allow you to maintain high levels of training more often and for longer periods of time. You have a small window of time to get nutrients into your body after your workout. Miss out on this chance to refuel and it will take you twice as long to recover from fitness sessions. Whether your training to lose weight or increasing sports performance, if it takes you 48 hours to recover instead of 24 hours, you’ll be missing the intensity you need during your workouts which can limit your results. Get your nutrition within 30 to 45 minutes after your workout. You can even start immediately after you stop exercising. As soon as you stop moving, your body begins the recovery process and it starts to look for nutrients immediately. Make sure your body gets what it needs, when it needs it. Here’s what the research has shown. A 4 to 1 ratio of carbs to protein works best. For example, if you take in 40 grams of carbs, add 10 grams of protein and you’ve provided your body the perfect ratio to jump start the recovery process. Use higher glycemic carbohydrates (rice, pasta, bananas, etc) after your workout because it elicits a greater insulin response which is necessary to trigger the replenishment of energy stores. Remember to keep the fat intake low because it buffers this insulin response. You can either eat your post workout nutrition or drink it, it’s totally up to you. If ingesting whole foods right after your workout is difficult then have a nutrient enriched drink instead. 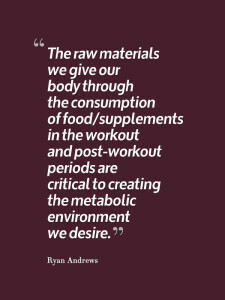 Think along the lines of a meal replacement shake or even Gatorade recovery. The advantage of liquid nutrition is that it makes it easier for your body to digest and deliver the nutrients to your cells. Taking these small steps of eating a higher carb meal or having a post workout shake within 45 minutes after your workout will help you take full advantage of your body’s ability to heal and recover. Using a 4 to 1 carb to protein ratio with little fat will ensure that you get optimal recovery between your training sessions.